It’s been a big week for Lycera, a biotech firm focused on immunotherapy that spun out of the University of Michigan nearly a decade ago. On Tuesday, the company announced a deal with Celgene, of Cranbury, NJ, that could spell the beginning of the end for the Michigan biotech. Celgene has taken an option to acquire Lycera at the end of a period of time during which Celgene can license Lycera’s drug candidates aimed at cancer and immune-mediated diseases. The length of time before a potential acquisition was not disclosed. Glick founded Lycera in 2006, and the work he’s done with the company is especially meaningful, as he has a son with one of the auto-immune diseases Lycera is targeting. “I think the science behind Lycera has enormous potential,” he said. Along the way to the Celgene deal, Lycera’s work was funded by a number of investors, including U-M’s Michigan Investment in New Technology Startups fund, Arch Venture Partners, Clarus Ventures, EDF Ventures, and InterWest Partners. 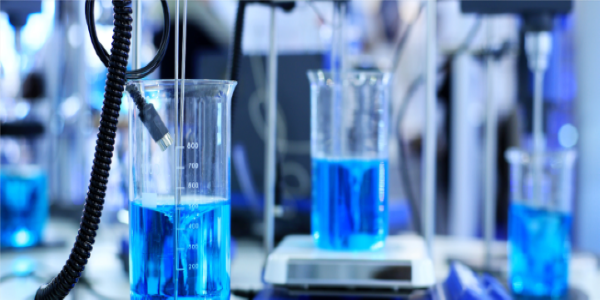 It also struck two collaboration deals with Merck in 2011 and 2013. Lycera is currently headquartered in U-M’s North Campus Research Complex and has 30 employees. Sekhri said what’s great about Celgene is that it’s not a “me too” company. “They’re leaders and one of the few that are willing to take a chance on great science at the early or [middle] stages,” he said. Sekhri said the Celgene deal also represents a great cultural fit, with many connections behind the scenes between Lycera and Celgene employees. Celgene is paying Lycera $82.5 million up front for an exclusive option to license Lycera compounds, including its lead candidate LYC-30937, which is in Phase 1 testing against inflammatory bowel disease. 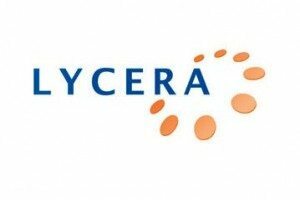 Lycera will be responsible for development of its pipeline during the Celgene option period; it could earn another $22.5 million in unspecified licensing milestones from Celgene. Once the collaboration period is over, Celgene will decide whether to acquire Lycera. Lycera said in May it had started the Phase 1 trial for LYC-30937. It works by modulating the immune response to selectively suppress or activate the immune system. Most immune modulators are biologics like Humira, Glick said, but those drugs can have immunosuppressant side effects. Despite that fact, the market for these kinds of biologic drugs is worth more than $20 billion, Glick said. The promise of LYC-30937 lies in its ability to induce selective cell death (apoptosis) of only disease-causing immune cells, leaving the rest of the immune system unscathed. “It’s very rare that a new target discovered in an academic lab makes it all the way to the clinic,” said Glick, who still holds academic appointments as the Bachmann Collegiate Professor of Chemistry and a joint post in the Medical School’s Department of Biological Chemistry.